Every week the Lead Pastor Team works hard to bring messages that are full of hope, directed by the Holy Spirit, and rooted in scripture. Every 6-8 weeks we start a new series, all grounded in Biblical texts. We hope that you join us in wrestling through these weekly texts, allowing space for God to continue to mold and shape us into the image of His son, Jesus. If you happened to miss a week in a series, you will find the video below. If you would like to subscribe to our podcast you can do so here for iTunes. You can also download the MCC app for android here or Iphone here. One thing we know about our lives and about our world: Change is inevitable. Everything around us seems to keep morphing and changing so fast we can hardly keep up. And yet, ironically, we find it hard to muster to the faith to believe that change for the good can happen. One of our core values at Marin Covenant Church is that transformation is actually possible by the power of a real God at work. Just about the time we feel like giving up hope that we will ever see true change/healing/growth/transformation in our lives (and in the world around us), God comes to us with the persistent and hopeful message that indeed he is at work in power. Join us for this 3 week series on transformation. There is a popular adage that says, "If you aim at nothing, you'll hit it every time." This statement is popular with motivational speakers because it has proved to be true in so many people's lives as well as with so many organizations. In our 50+ year history of attempting to aim well, we at MCC who are striving to be Jesus followers, orient ourselves first and foremost around Jesus, the Word of God and the common tenets of historic Christianity so we aren't aiming aimlessly. But we also rally around a meaningful statement of our clear vision for how to live that out: To engage with the spiritually hungry toward a life in Christ that is inspired, intelligent, and involved. Join us for this series that will unpack that vision statement and help us all aim to live our lives for the most important things. Advent is the season of the four Sundays leading up to Christmas, and is a season of anticipation and expectation. We get in touch with that for which our souls are longing, and we celebrate the true story that God came in the flesh to the earth to bring what we need. The coming of Jesus reveals who God is and what he has done for us. Join us for this 4 week Advent series as we explore how Christmas is the revealing of God’s solution, God’s heart, God’s mercy, and God’s presence. There are many ways that we can invest ourselves in the study of God’s word in order to mine its truths. And there is something uniquely profitable about those times when we open the Bible and week after week carefully study an extended passage in context. Join us for this series as we will walk together through the first ten chapters of the book of Acts where we learn of the birth of Jesus’ church and how the early believers lived out their faith. As we study the early church we will be inspired, challenged, and delighted to discern how this informs our life as God’s Church today. Every year we take the opportunity for our entire church to spend these summer months deeply rooted in the Word of God. This summer will be a journey through the entire book of Psalms. For God’s people, the Psalms have always been a book of worship, a book of lament, a book of prayer, a book helping give us the words that express the longings of the human heart. Along with these sermons on selected Psalms, each day we will have readings upon which to study and meditate. Please follow along with us on our reading plan by opening the PDF here. We hope you will join us for our summer in the Psalms. "What happened to me today (this week, this year, since I turned 40, etc., etc.) that I was feeling joy in my heart and then it just seemed to evaporate. Where did it go? And why does it come and go?" Most of us can relate to these questions and feelings. And somewhere along the line we may come to be relatively resigned to the thought that we are really not going to see any lasting joy. What we hope for, then, might be a bit of happiness... but not joy. Or a bit of relief... but not joy. Yet the spark refuses to go out deep in our God-created souls. It seems we were built for joy and so hope springs eternal that we might find more of it. The good news is that the scriptures have much to say about how we might get there. We invite you to join us for this 5 week series on JOY. Anxiety and fear. Everyone can relate. In fact, they are the world's most common struggles according to a recent study released in the journal Psychological Medicine. This is especially true in our particular sub-culture where anxiety disorders were more commonly reported than even in those areas of the world that are currently experiencing conflict. We can all testify to the experiences of worrying about our loved ones, being anxious about our financial well-being, fearing for our safety, staying awake at night being uncertain of our future, etc. It is simply a part of the human condition. The good news, of course, is that God in his wisdom and compassion understands this proclivity in us and speaks practically and powerfully in his Word about how we can thrive in the face of our fears. Join us as we dive into this most pressing topic. that will help us get in touch with the health of our souls. And in doing so we will be considering some possible spiritual practices that we can do together during Lent that could be healing and life-giving. There are many ways that we can invest ourselves in the study of God’s word in order to mine its depths. And there is something uniquely profitable about those times when we open the Bible and dig deep – word for word – into an important text. Join us for this series where we will walk together through chapter 8 of the book of Romans where the truth of the love of God – and its implications – is articulated in life-changing ways. This is what we all need! Hope, love, joy, and peace! Even the words stir us. Advent is the season of the four Sundays leading up to Christmas, and is a season of anticipation and expectation. We get in touch with that for which our souls are longing, and we celebrate the true story that God came in the flesh to the earth to bring what we need. Join us for this 4 week Advent series as we explore how Christmas is the good news of the hope, love, joy, and peace that we need. Our world is struggling. Even a quick survey of the local, national, and global news is increasingly disheartening. Those of us who know and love Jesus are all the more moved to be agents of his love, mercy, and justice – his Good News. Join us for this series where we humbly seek God and reflect on how in the world we can “be” good news to a world that needs it. An opportunity for our entire church to spend these summer months deeply rooted in the Word of God. This is an 9 week in-depth reading and study of the New Testament. Each day we will have readings upon which to study and meditate, culminating in the Sunday sermon on a chunk of that text. Please follow along with us on our reading plan by opening the PDF here. And we will hope to see you on Sunday! God’s penchant for this unexpected way of engaging with the world saying, essentially, “To get his job done, God uses things that are foolish and weak.” That sounds like it describes we humans pretty accurately! In a different letter, when discussing the amazing news that human beings are filled with the light of the glory of God because of what Jesus made possible, he says, “But we have this treasure in jars of clay to show that this all-surpassing power is from God and not from us.” And therein lies the secret to God’s plan: By his power, he is able to use fragile, flawed, fickle people... ordinary people... to accomplish extra-ordinary, world-altering, barrier-breaking, mind-blowing things. The good news for us? We qualify. Join us for this series where we examine the stories in scripture of people like you and me, the least likely to succeed, whom God delighted to use for his glory and the world’s good. In our last series, called “Markers,” we essentially wanted to answer the question “How, then shall we live? And now in this Lenten series, up through Easter, we are considering the question of “How, then, shall we pray?” Our prayer experience tends to swing from one extreme to the other: In some seasons we have no idea, in light of all that is going on in us and around us, of what we should be asking God to do. On the other hand, we can also pray with increasing fervency about the things we are feeling deeply in a given season. But praying about our "feelings" can live us with a check in our spirit that maybe we are praying out of line with God’s desires. All this can lead to either a prayerfulness or prayerlessness that doesn’t seem particularly satisfying or effective. Fortunately, Jesus anticipated this struggle and the scriptures contain his teaching on the subject. The first line of his teaching makes us hungry to hear what he has to say: “This, then, is how you should pray...” Join us as we study Jesus’ instructions. In 1964 Bob Dylan wrote a famously apropos song titled “The Times They Are A Changin’.” That phrase was so true to that era that the song has become one of the iconic symbols of the cultural shifts that were taking place during the 60’s. Interestingly, that phrase may describe the rapid changes happening in our day as well. Being God’s people in each era of history has required deep refection and careful application of Scripture. And yet, while the times may change, some spiritual principles regarding following Christ have long been constants for Christians. No matter what age the Church has lived in, there has always been a well-worn path where the saints before us have walked. Join us as we study seven of these “markers” which help us to know that we are on the right track and on the ancient path of faithful obedience to Jesus. 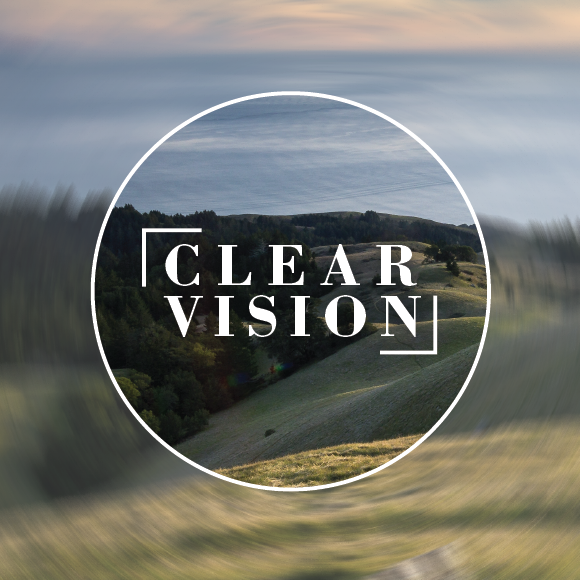 If you are interested in checking out our back log of sermons, simply check out our Vimeo page.